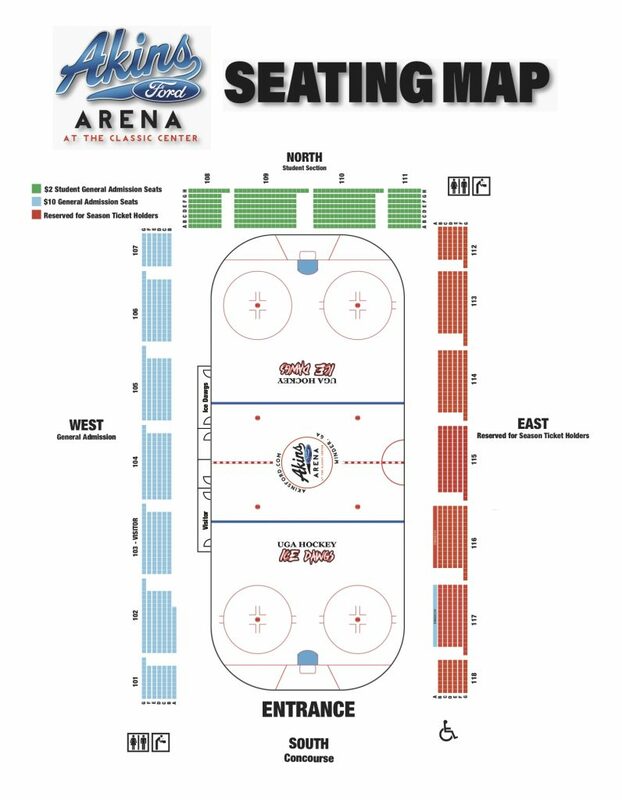 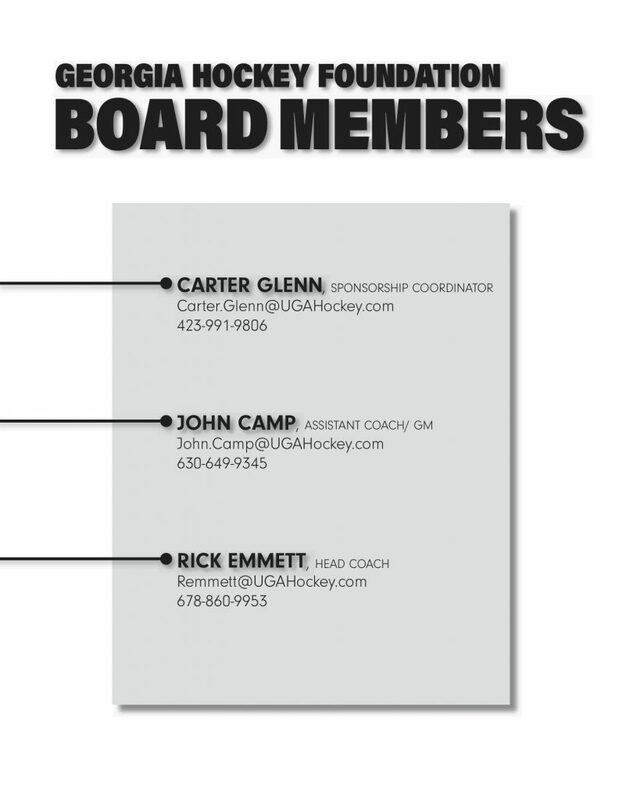 The UGA Hockey Foundation is offering new sponsorship and partnership opportunities for the upcoming UGA Hockey season at Akins Ford Arena at The Classic Center. 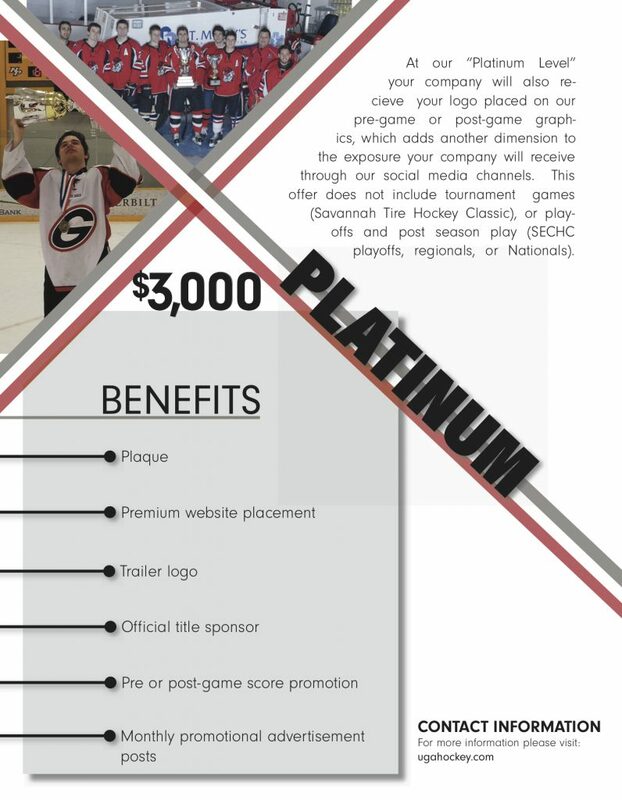 With an average of 1,200 fans a game this is a great way to provide exposure for your company and get noticed in the Athens and surrounding areas. 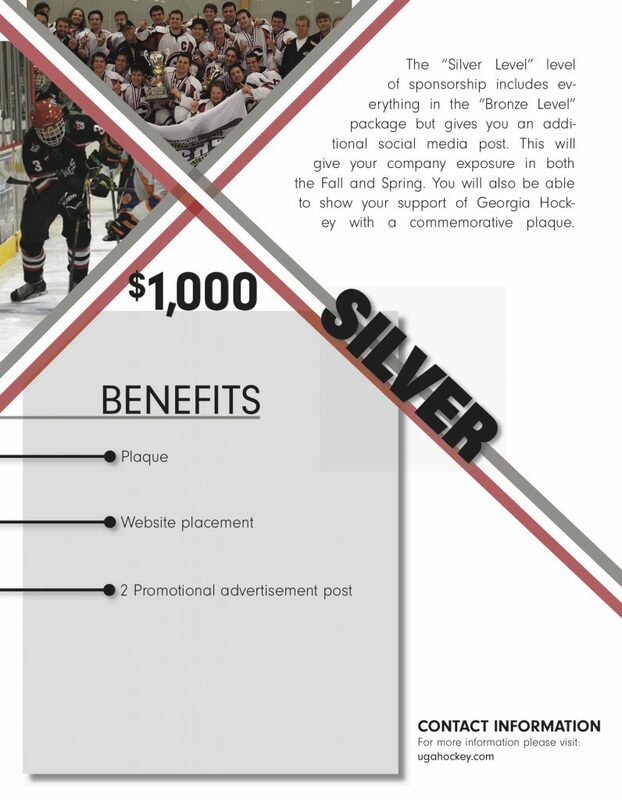 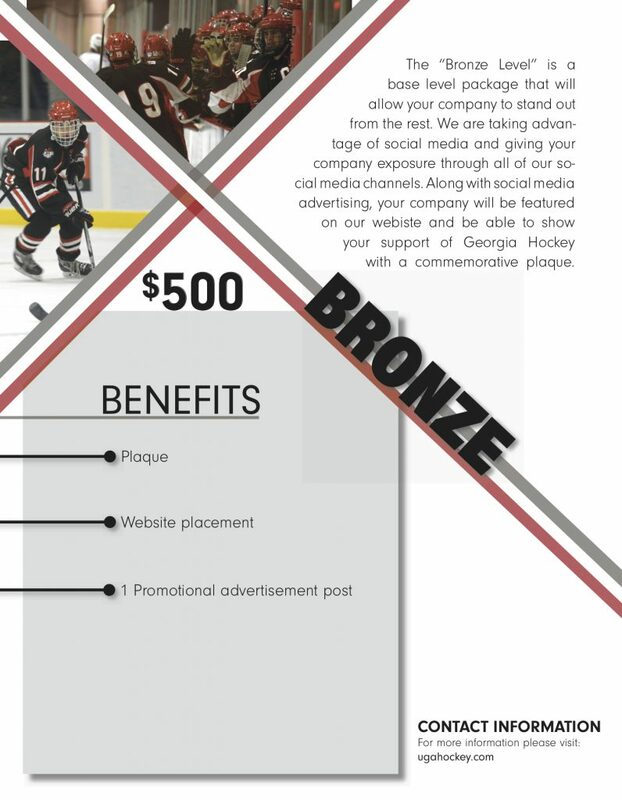 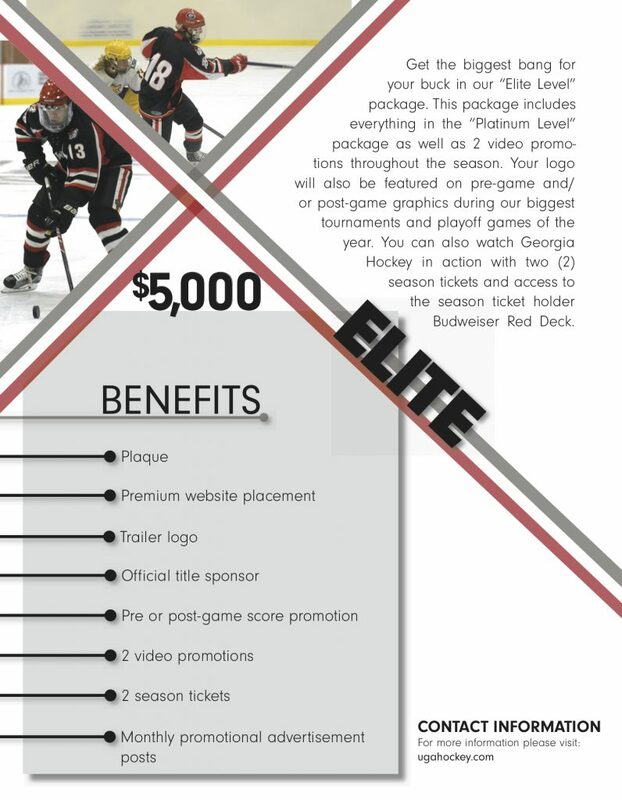 Below are pages of the different sponsorship levels offered for the upcoming season that your company can purchase. 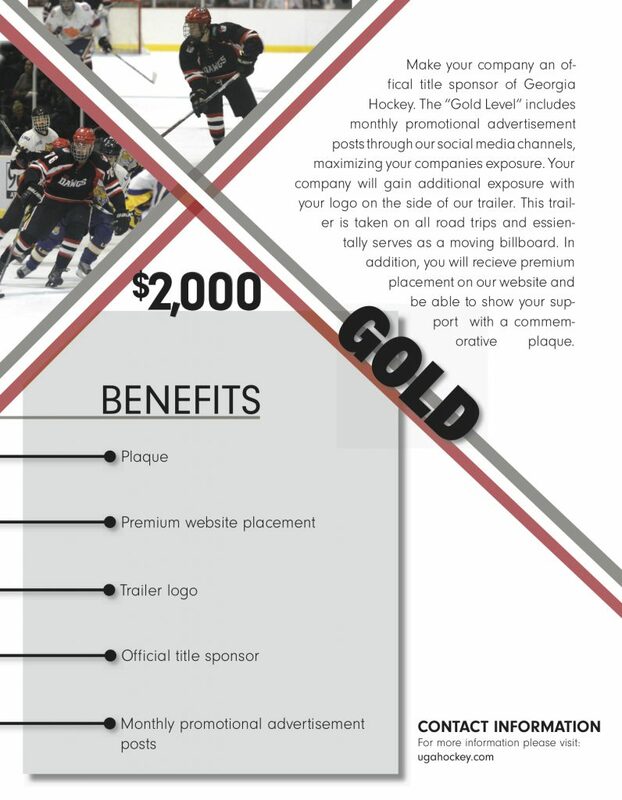 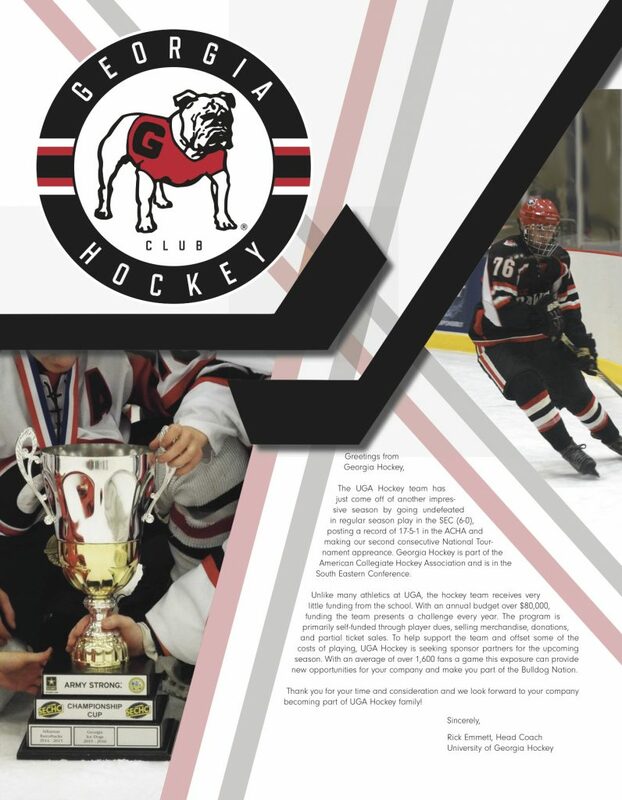 For more information on how to join the UGA Hockey support team or if you would like us to send you the information in a booklet, please contact the General Manager at gm@ugahockey.com.